The 2016 Rhodes State College Outstanding Alumni Award recipient is Jane P. Krites. She is a 1987 graduate of the Nursing Program and holds a BS in Business Administration and a MBA from Defiance College. Krites served as a nurse for 20 years with St. Rita's Health Partners/Mercy Health and held leadership positions with Girl Scouts for 24 years. As CEO of the Appleseed Ridge Girl Scouts, she played a key role in merging four Girl Scout councils into the new Girl Scouts of Western Ohio, the fifth largest council in the U.S., serving nearly 50,000 girls. 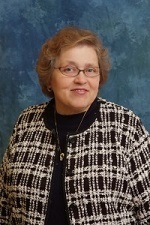 From 2008 to 2012, she served as the Executive Vice President of this new organization. Currently, Krites serves on the Rhodes State College Board of Trustees and the Rhodes State College Foundation Board. She volunteers for the United Way of Greater Lima, St. Charles Catholic Church and previously served on the St. Rita's Medical Center Board. She is also the recipient of the 2002 Athena Award and the 2011 Allen County Visionaries Citizen of the Year Award. The 2016 Outstanding Alumni award presentation took place during the 46th Rhodes State College Commencement on Saturday, May 7, 2016, in Crouse Hall of the Veterans' Memorial Civic and Convention Center, Lima. Rhodes State College is a public, state-assisted institution of higher learning which is chartered to provide degree-granting career education programs and prepares students for transfer completion of baccalaureate degrees at selected colleges and universities. The college provides non-credit workforce development, consulting for business and industry and prepares students for entry into careers. With over 4,300 students, the college's core institutional values of integrity, caring, responsibility, respect, and quality guide its policies and practices.